My parents are out of town, while sad, this provided Ash and I an opportunity to start throwing together some long overdue ideas! One thing about me that most people do not know…is that I am a Caesar salad connoisseur (I love caesar salads). Ever since my mom used to take me jewelry shopping in San Francisco; we would stop off and get a hand tossed Caesar salad from the jewelry gift center in between ducking into the small shops. I started searching for Caesar salad dressing recipes and found a bunch. Two things I wanted in my dressing eggs and anchovies…NO MAYONNAISE <– for some reason a lot of recipes call for mayo…ewww (not having it). 6 Anchovy fillets (the packed in oil kind) It says that on the can…basically every grocery store has these for some reason. Here is the tricky part….slowly ADD…salt, pepper and drizzle olive oil. Next ADD finely shredded Parmesan cheese. Set in fridge for 30 minutes. Sipped the Fish House went with the Cab…had to. Fish House on deck for today. How to grill romaine lettuce…simply slice in half and place on hot grill for about 25 seconds. Done. Quick surefire grilling of chicken breast…make a rub with at least salt and pepper…lately I have been using cayenne pepper to season (adds a nice little spice). I literally set the grill to about 250 degrees and cooked on each side for 5 minutes then rotated 90 degrees and cooked for another 5 minutes per. These chicken breasts were pretty big fyi. But as the internal grill temperature got hot…I simply opened the lid. Let the chicken sit for about 3 to 5 minutes. Slice. Done! 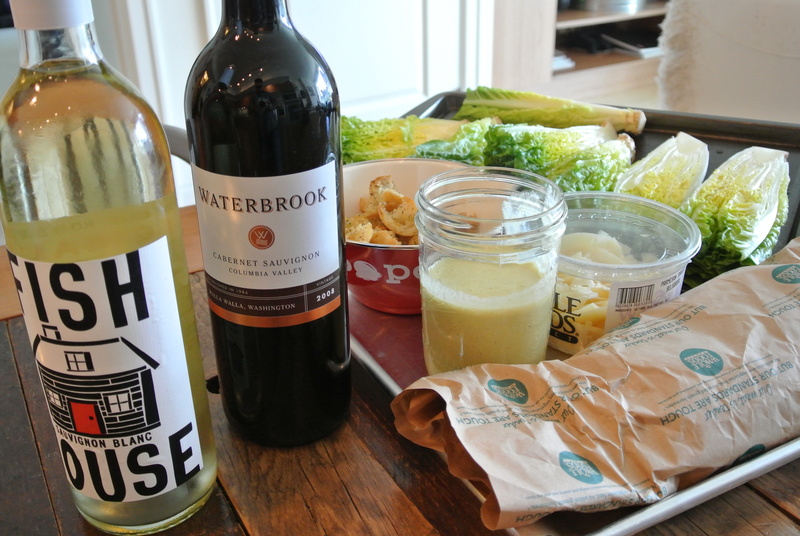 The reason you will like this blog post is the making of your own Caesar salad dressing…after all the times you have probably ordered Caesar salad you probably know what a good one tastes like. Enjoy! 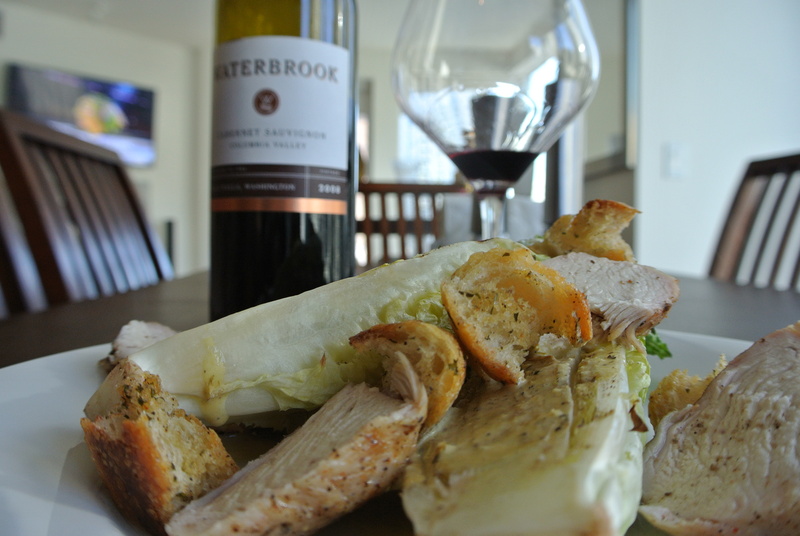 For me the salad paired well with Waterbrook Cab Sauv.